Each day, consumers are bombarded with digital ads and other promotional content. Your audience may view up to 10,000 brand messages when they’re online, resulting in what researchers call “ad blindness” (when a viewer simply ignores every ad). One technology—SMS texting—boasts a 98% open rate within as little as 5 seconds of receipt. What is MMS? It’s a format that adds a powerful visual element to SMS, amplifying its impact. 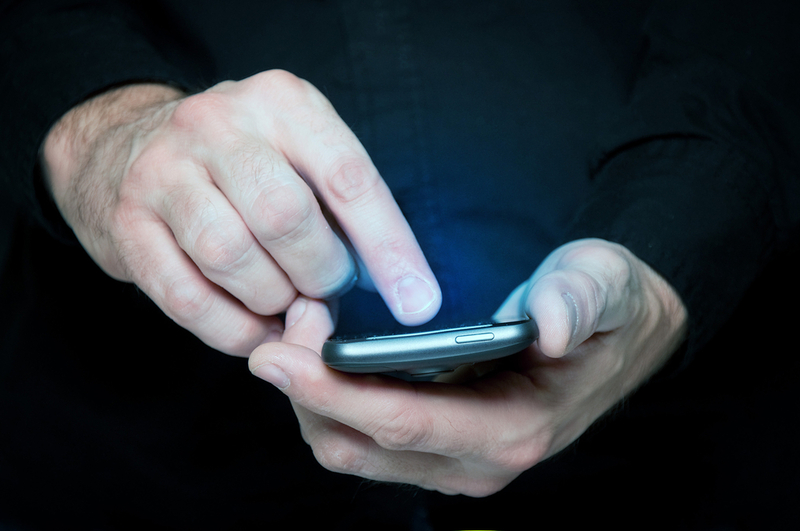 In this post, we’ll explore how MMS can easily extend the reach of mobile outreach efforts. MMS stands for multimedia messaging service. Using MMS, you can send your customers engaging images that increase product sales. For example, a retail customer could receive a picture of an item that might pique their interest, and then be able to click through to purchase. Using SlickText, you can send an MMS just as easily as a simple text message. Why Would a Business Choose MMS? MMS is simply one of the most effective ways to reach your customers on their mobile devices. Despite the fact that some of America’s biggest advertisers are spending more every year on mobile ads—mobile marketing will account for 72% of digital ad spending by 2019—they’re not necessarily overcoming consumers’ resistance to traditional mobile marketing. More than 70% of consumers report disliking mobile ads (HubSpot), and the use of ad blockers on mobile devices has increased 90% over the past two years. (MarketingLand). Text messages have a 98% open rate, while email has only a 20% open rate (Mobile Marketing Watch). Over 80% of American adults text, making it the most common mobile phone activity (Pew Internet). On average, Americans exchange twice as many texts as they do calls (Nielsen). The average text message is read in under five seconds after receipt. It takes the average person 90 minutes to respond to email, but only 90 seconds to respond to a text message (CTIA). More than 75% of consumers would like to have offers sent to them via SMS (Digital Marketing Magazine). More consumers would prefer to receive product details and other marketing messages through text over any other channel (Direct Marketing Association). In 2018, analysts estimate that Americans will devote an average of three hours and 23 minutes to non-voice mobile media—meaning texting and social messaging online (eMarketer). That’s an increase of one hour since 2013. Consumers will spend nearly one-third of their work day texting and using digital media on their mobile devices. That’s a huge window where your message can reach them wherever they are. There’s more. Just over 88% of customers who look for information about a type of local business, will call or visit the business that they found within 24 hours. 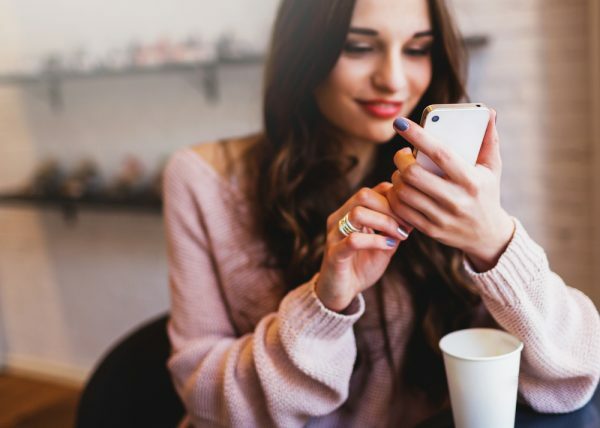 If your website offers texting as a way to get in touch, you’ve made it effortless for customers to connect when they’re ready to visit or purchase your products. During the Back-to-School rush in your college town, every freshman receives a packet full of flyers offering special discounts for new students from local businesses. Your pizza restaurants are just two out of a half dozen others, and there seems to be no way for your business to stand out amidst the crowd. It’s apparent that print flyers are hit-or-miss when it comes to developing a loyal customer base, but not producing a print flyer seems fool-hardy. What’s the best way to stand out among so many look-alike competitors? By using MMS, your restaurant can offer hungry college students what they really want—pizza—instead of more flyers. Customers can order easily on their mobile device by responding to a text with an image of a tantalizing student special. With a scheduled MMS campaign, messages are slated to be sent automatically according to a set of predetermined dates—(“Text us to order for your Rose Bowl tailgate party”). Customers can set-up orders ahead of time, allowing them to confirm their order and pay when game day rolls around. As the owner of a jewelry store specializing in handmade pieces, you face a challenge in competing with larger stores during the holidays. While your clientele is more concerned with rarity than price, they’re being courted by chain jewelers offering a range of made-to-order creations that rival the originality of your offerings. There’s little time to devote to creating an elaborate digital marketing campaign with a creative agency—and you aren’t sure that online banner ads will reach the local audience that you seek. How can existing marketing resources be used to drive more foot traffic? With MMS, customers can receive images that showcase new items they might enjoy. You can create a “flash” sale that lets customers redeem mobile offers and buy items via text—offering them deeper discounts if they share the offer with friends who buy as well. With your MMS, also include a link to an online catalog which enables them to create a customized holiday wish list—providing valuable information on the preferences of individual customers that will help you develop future promotions. These are just a few ways MMS can increase the reach of mobile marketing efforts. Bulk text messaging is a high-impact alternative to traditional mobile marketing that offers a great return on investment: the vast majority of your marketing messages will be seen. You’ll also avoid the elements that consumers hate the most about traditional ads: irrelevant offers, intrusive graphics, and messages that appear over and over, regardless of their response. SlickText messages are always sent by permission—that means your audience wants to hear from you. At SlickText, we manage all of the complicated elements of bulk text messaging for your business. You won’t have to bother with the tech side of things, or worry that your opt-in forms aren’t in compliance with the latest regulations. We use the most secure, optimized delivery methods to make sure that your messages get to your customers precisely when you want them to. Interested in learning more? Connect with us to learn how SlickText’s SMS marketing software can transform your mobile marketing efforts.